If you live in an area prone to wet or windy weather, flyers stapled to telephone poles don't last very long. This trick will keep your "lost pet" flyers up longer so you have a better chance of finding your furry friend. 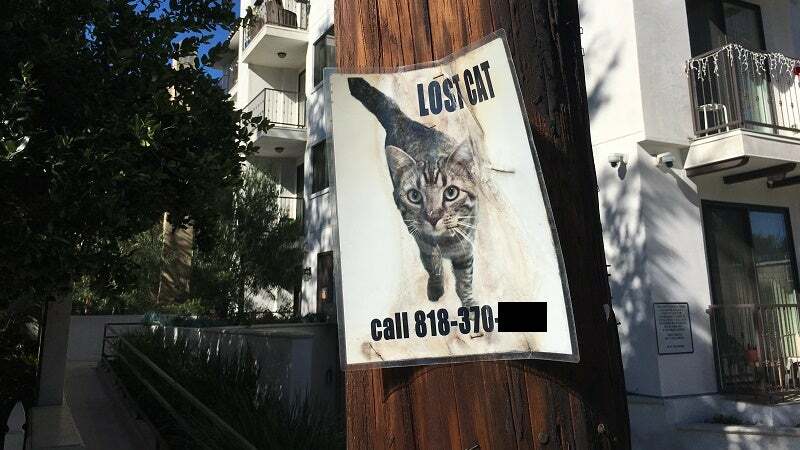 After you've printed a bunch of flyers with your pet's picture, name and your contact information on them, get a few of them laminated. It's too expensive to laminate every flyer you make, but you can protect a few them and place them on high traffic street corners in your neighbourhood. The plastic will keep rain from blurring the ink or melting the paper, and the staples will hold to the plastic laminate better than if it were just paper. Bonus tip: If you see a "lost pet" flyer in your neck of the woods, take a photo of it with your smartphone. That way if you do run into a cat or dog that seems lost, you'll know for certain if it's the right one.